At Mito, the capital city of Ibaraki in Japan now!! The first lunch I had was udon at Marugame AEON Mito-Uchihara♪ Here's my kake-udon entirely covered in spring onions and tempura bits, with huge side orders of vegetable kakiage and chikuwa tempura. Added on gyoza from Marushoya (sister shop of Marugame's) and made it the most awesome lunch ever. 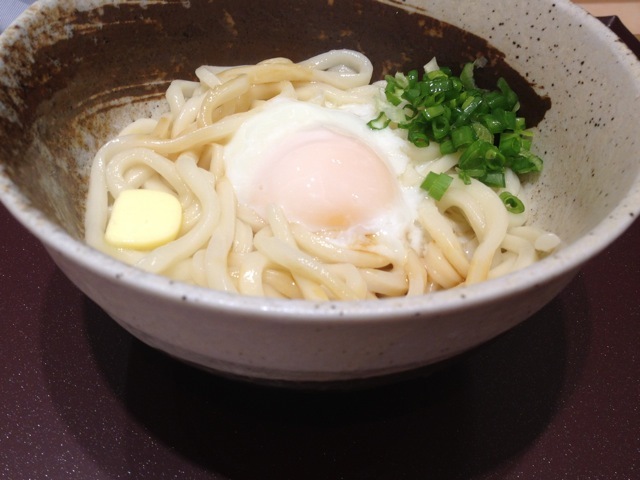 By the way here's a typical udon you can find in Singapore. The taste is not bad, check out the spring onions, they're so little they are crying. Receive also alien stares if you ask for ginger to go with your udon.